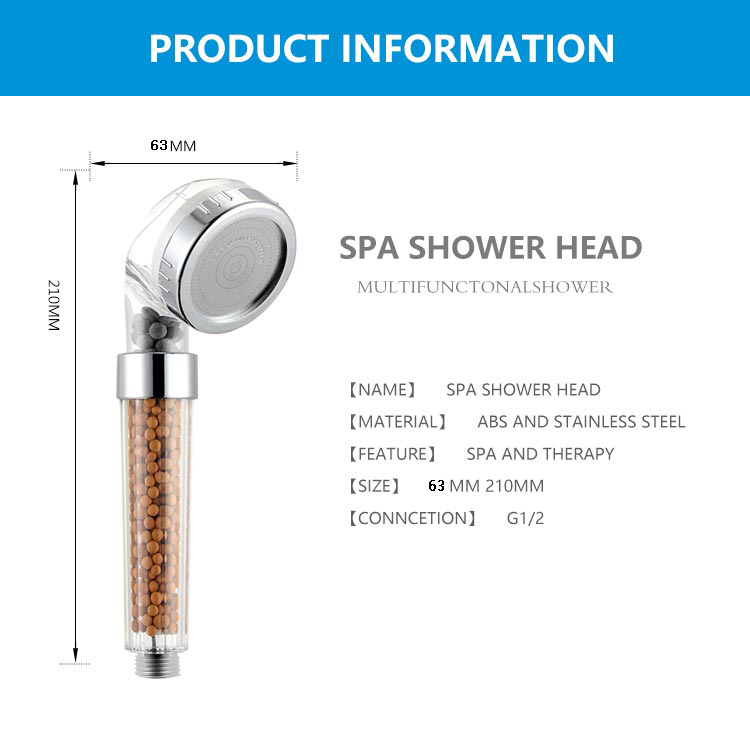 This special Spa shower head utilizes antibacterial activated carbon ceramic balls, far infrared mineralized balls and antibacterial balls that fill in the shower head handle tube. 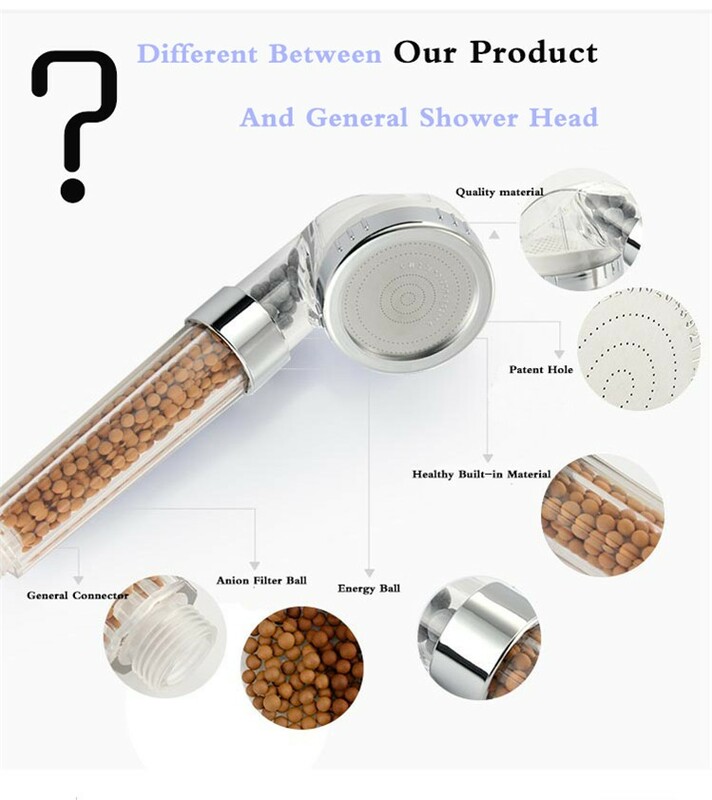 These little balls inside the shower head remove 97% residual chlorine and heavy metal in the water, reduce the ORP value and produce the neutral Spa water. 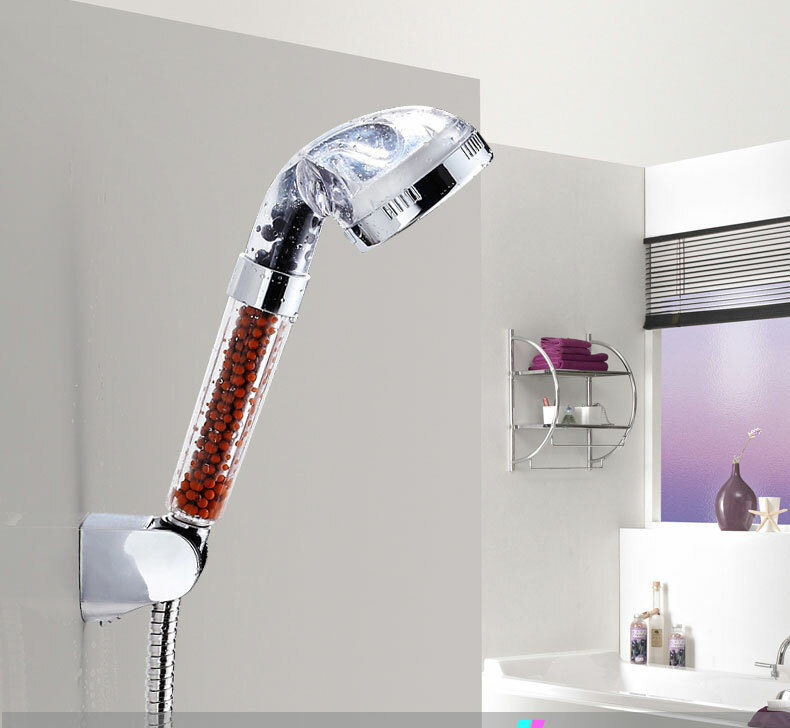 With the purifying effect of the bioactive stones, our shower heads will help you restore balance. Health benefits may include smoother skin, reduce oil secretion, increase cell viability. Impurities in your tap water will often dry your skin and cause an imbalance in your oil glands. With the purifying effect of the bioactive stones our shower heads will help you restore balance. Health benefits may include smoother skin, reduce oil secretion, increase cell viability.